Interview questions for QA Tester based on the interview I attended during my several years of working experience as a QA Tester. QA interview questions and answers are completely based on the QA interview I and my friends attended during last years of working experience as Quality Assurance Testers. Software Testing, Quality Assurance and Quality Control - what is the difference? QA (Quality Assurance) refers to the systematic and planned process of monitoring the quality of process which is followed to produce a high quality product. QA tracks the outcomes and adjusts the process to meet the expectation. QC (Quality Control) concerns with the final quality of the product. Quality Control finds the defects and recommends the improvements. The process set by Quality Assurance is always implemented by Quality Control. The QC is the responsibility of the software tester or a team of QA Testers. ST (Software Testing) is the vigorous process of ensuring that intended product developed by the software developers meets the user requirements. The goal to perform testing is to discover the bugs and make sure that they get fixed before the launch. Python QA interview question for testers! and this in not a Python way. In this case you could help the interviewee and suggest to swap the values without using a third variable. Most advanced tester could provide the correct answer below, but it is still not a Python way to solve the problem. and this would be a great confirmation that QA Tester has the basic understanding of Python, but of course the interview is not over yet. More Python interview question coming in the next few weeks. Git interview questions should help QA Manager to get to know the candidate for QA Tester position and how the tester will fit in with QA team. The most easiest way to weed out candidates is to check the spelling of this distributed revision control and source code management. If QA Engineer resume refers to Git as git or GIT, throw the resume away, there is no place for blatant spelling errors in the tester resume. By the way the same applies to the spelling of Subversion as svn or Svn instead of correct abbreviation - SVN. The next set of Git interview question are those which have a high frequency of being asked in interviews and shall identify whether QA Tester is capable of grasping the concepts involved in version control. Explain the difference between SVN and Git? Why Git better than Subversion? Is it really better? What are the advantages and disadvantages between centralized version control system and distributed version control system? What is best Git book for newbie? Do you know what is SHA-1? Do you prefer to work with Git from the command line or GUI? What is the best Git GUI client for Linux? Have you found already the best Git GUI client for Windows? Do you know the best Git GUI client for Mac OS X? How would you start tracking an existing project in Git? What command you would use to get a copy of an existing Git repository? 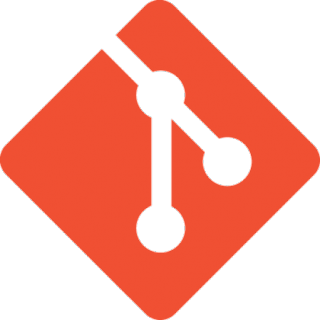 Write an example of any Git command? What's the difference between git pull and git fetch commands? Do you use Git aliases? What is your favourite Git alias? Are you on Bitbucket, GitHub? If so, what are some examples of repos you follow? Can we see your code? Please keep in mind that above Git interview questions contain the open ended interview questions where QA Tester can answer the questions however she choose to respond. There are no yes or no or right or wrong answers. In the same time some of questions require exact answers. Python interview questions should not be a problem for QA Tester, who mentioned a few years of Python experience in the resume. In many companies Python is being used for for creating automated testing frameworks, for writing automated tests, build scripts, system monitoring and logging tools and so on. As result the demand for QA Tester with Python experience increased dramatically, but employees are looking for experienced testers and the hiring process becomes the challenging area. The first area are to look for is QA Tester resume. I often see Python in summary of skills and qualifications section of the resume, but it is completely not clear how the interviewee was using Python, because there are not references to Python experience or tools anywhere else in resume or in the best case QA Tester mentions Python in education section as Udacity Online Course: Programming in Python (CS101). First things first - update your resume with a real life Python experience. It could something really short like "created and maintained server-side integration tests - Python and Selenium WebDriver running with every build (Git, Jenkins) on AWS (Amazon Web Services)", but it would help you to explain how you were using Python in your testing life. Keep in mind the interviewer will grill you for every word you have put in your SQA Tester Resume, so QA Engineer should not lie in resume about Python experience. In the next article, I will cover Python coding interview questions for QA Testers. In mean time you could look at best Python books for beginners in order to prepare for an interview. Why automated software testing fails? Automated software testing has plenty of benefits and a lot of challenges. Despite the availability of a broad array of tools for software automation Silk Test, Selenium, HP QTP, Watir and etc), almost every QA Testing teams struggle with the similar standard architecture issues. In my opinion most of the issues are due to a lack of a preparation and training for building automated software testing framework. Tests fail under change - usually automated test would break when the application under test changes. It means QA Testers have to spend valuable time to fix existing automated software testing frameworks. Person dependency - an amazing QA Tester is in charge of the all test automation efforts, but when this person leaves the company no one would support and maintain scripts. In the best case the framework and script would be rewritten by newly hired testers, in the worse case QA Team would abandon test automation and completely switch to manual testing. What makes a good QA Tester? Submit every typo, misprint as a separate Jira or Bugzilla bug report to inflate the bugs count. In case your QA manager keeps track of number of test cases you written, churn out test cases by copying existing ones or copying the software requirement into another document as detailed test cases. Never mention that you have found the bug by a weird accident. All your bugs are results of carefully planned test plan and test cases. Never admit that you forgot to execute some tests, you just keep track of executed test cases on your computer. Never admit that you forgot to submit the bug to Jira or Bugzilla bug tracking tool, you are still working on reproduction steps. If you do not know how to test the certain feature in the application under test, just keep waiting till another QA Tester will test it. When someone catch you sleeping on your desk, tell that you are testing time out feature of web based application. How to evaluate QA tester's work? Tricky Test manager interview question may sound like : Imagine being a test manager and trying to evaluate the performance of your QA testers. As we all know staff performance reviews is a one of the responsibilities of QA Managers. Software quality assurance engineers do a wide variety of tasks, such as bug hunting, bug reporting, test planning, and test tool development. To fully evaluate the work of the QA tester, Test Manager would evaluate the quality of work on each of the tasks. As I noticed during several interviews, some Test managers prefers to focus on quantitative measures like number of bug reports or number of bug reports returned as duplicates, but in my opinion any performance review that is based on number, can be easily gamed. The successful QA manager would focus on qualitative measures while providing performance evaluation for software QA Testers like quality of test plans, test cases and bug reports. Another measurements could be the ability of SQA Engineers to research and acquire a new testing skills, attitude towards coworkers, ability to manage time effectively, capacity to respond to changing priorities. What is a good ratio of QA tester to developer? How good a developers? Do they prefer to throw badly written code over the wall and blame QA testers for missed bugs and features? In this case QA Manager would need to hire more testers. How much company is going to pay for mistakes discovered by customers? Probably it would be wise to spend more on hiring proper QA team members and save on the future expense of fixing bugs in the production environment. How is the company budget? Could the company afford to hire additional QA Tester instead of another developer? Test interview question should show the real value of interviewee. One of this not puzzle interview questions is asking the prospective candidature about dealing with utter boredom. Occasionally testers get involved in the never ending testing of the same module of the same application. How should SQA Engineer adjust working behavior to continue successfully work on software project? One of the ways it to exploit variation, for example stop testing the same modules, using the same methods. Try to a new ways to test the application. The tester could also put the computer to work. Try to learn some scripting languages like Perl, Python or just shell and apply that in your testing to reduce monotonous and repetitive tasks. Work together with software developer, asking a user about work flows or pitfalls, or business analyst to understand what is going wrong and it will make your job more interesting. How would you test a toaster, vending machine, electric kettle or ATM? Some QA managers consider this most common interview question as perfect QA interview question. In the same time the test interview question is the easiest one. QA engineer needs to tell just two magic words "requirements" and "specifications" and then approach toaster tests as any other usual application under test with different testing types like functionality testing, usability, white box testing, black box testing, performance testing and so on. SQA interview question 52 - Why automated software testing fails?? SQA interview question 51 - What makes a good QA Tester? SQA interview question 50 - How to evaluate QA tester's work? SQA interview question 49 - What is a good ratio of QA tester to developer? SQA interview question 48 - What do you do when you get bored? QA Tester interview question 46 - How would you test a toaster? Test manager interview question 45 - Should all testers be developers? Test manager interview question 44 - What is a good ratio of QA testers to developers? QA manager interview question 43 - How would you deal with smarty pants SQA Engineer? QA interview question 42 - Name any software quality assurance or software testing magazine? QA interview question 41 - What's in your Testers Tool Box? SQA interview question 40 - Why do you want to leave your current job? QA interview question 39 - Define test automation requirements for developing web application? SQA interview question 38 - How do you keep your testing skills updated? QA interview question 37 - Does your team use continuous integration? SQA interview question 36 - Why does test automation project fail? QA interview question 35 - How to report bugs effectively? QA interview question 34 - How do you know when to stop testing? QA interview question 33 - Could you name a few testing activities? QA interview question 32 - What makes a good QA Engineer? QA interview question 31 - What are prerequisites for white box testing? QA interview question 30 - Can you solve this QA interview puzzle? SQA interview question 29 - What tests shouldn't we automate? QA interview question 28 - What tests should we automate? SQA interview question 27 - Do you recommend using test automation in agile environment? QA Engineer interview question 26 - What is stress testing? QA interview question 25 - What is performance testing? QA interview question 24 - What is load testing? QA interview question 23 - Which testing types do you know? QA interview question 22 - Who is responsible for the quality in agile project? QA interview question 21 - What should tester do in an agile project? QA interview question 20 - Could you describe an agile tester? Software testing interview question 19 - What is agile manifesto? QA interview question 18 - What is boundary condition testing? QA interview question 17 - What is test harness? Test interview question 16 - What is traceability matrix? QA interview question 15 - What is test suite? SQA interview question 14 - What is test strategy? SQA interview question 13 - What is test plan? SQA interview question 12 - What is test case? QA interview question 11 - What is software bug? SQA interview question 10 - What is Agile Testing? SQA interview question 9 - What is Ad Hoc Testing? QA interview question 8 - What is Acceptance Testing? SQA interview question 7 - Which is better - black, gray or white box testing? QA interview question 6 - What is gray box testing? SQA interview question 5 - What is white box testing? QA interview question 4 - What is black box testing? SQA Interview question 3 - What is the difference between QA and testing? QAInterview question 2 - What is Software Testing? SQA Interview question 1 - What is Software Quality Assurance?